Welcome to Sital Leasing and Finance Ltd. ! Sital is a diversified global financial services holding company, which offers a comprehensive gamut of services for customers ranging from corporate to domestic sectors. We have years of experience in providing business financial services to our clients. Our experts carefully analyze the current situation and accordingly prepare the project reports. Loan arrangement needs are also well taken care by us including cash credit limit, term loan and project loan. We also offer due diligence for finance and valuation of shares. 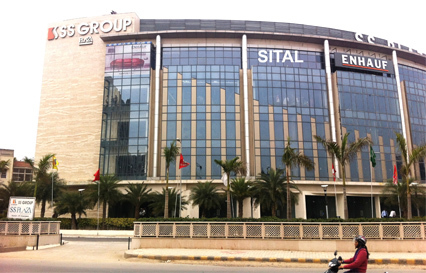 Sital Leasing and Finance Limited is an ISO 9001:2015 Certified Company aims to enhance customer satisfaction through the effective application of the system, including processes for continual improvement of the system and the assurance of conformity to customer and applicable statutory and regulatory requirements, including a strong customer focus, the motivation and implication of top management, the process approach and continual improvement.